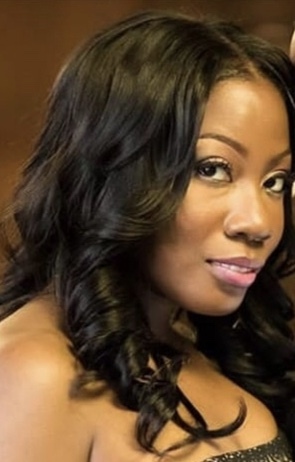 Katrina L. Francis-Fitchett age, 37, went home to be with the Lord on January 31, 2019, at Christiana Hospital In Newark, Delaware. She was born in Englewood, New Jersey on September 25, 1981, the daughter of Sunmon E. Francis and Alberta Brown Francis. Katrina received her early education at Sacred Heart Elementary School, Aquinas High School, and later received bachelors degrees from Temple University and New York University School of Nursing.. Her most enjoyable times in life were being with her family. She also loved makeup, nails, arts & crafts, and weddings. She was baptized at Congregational Church of God in New York, NY. Katrina was preceded in death by one brother, Delonao Francis, as well as her paternal and maternal grandparents. She leaves to cherish her precious memory her loving husband, Taron A. Fitchett; twin sons, Camden and Chase Fitchett; parents, Sunmon and Alberta Francis; one sister, Shneequa Francis-Smith (Joseph); her god-daughter, Chelsi White; mother-in-law and father-in-law, Veronica and Reymont Barefield; 4 uncles, 4 aunts, 3 nieces, 1 nephew, many cousins, other close family and a host of friends. Her Home Going Service will be at 11 am, on Friday, February 8, 2019, at Bible Fellowship Church of Newark, 808 S. Old Baltimore Pike, Newark, DE 19702, where viewing will be from 9-10:45 am only. Interment will be in All Saints Cemetery, 6001 Kirkwood Highway, Wilmington, DE 19808.